You can learn more about the cornerstones of online games operating from our articles based on the report by Viacheslav Utochkin, who participated in operating the “Perfect World” in Russia and launching “Armored Warfare: Armata Project”. Viacheslav defines operating a gaming project as launching and supporting a project ensuring its successful functioning in the market. When talking about operating a project we can be looking at an operator’s own game, or a third-party project licensed out by an external developer, for instance, from a Chinese or Korean company. 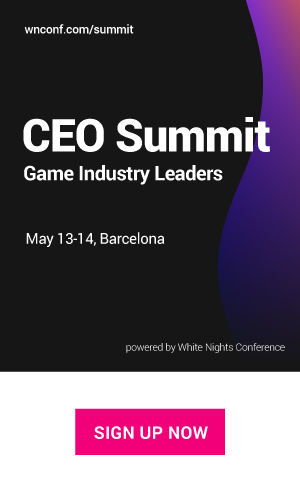 Moreover, a number of companies existing in the market are doing exactly this – they take upon operating games produced by the third-party developers. These companies include one of the subdivisions of Mail.Ru, 101XP, and a range of young companies, such as Overgamez. Viacheslav stresses that the process of operating a project significantly depends on the ownership of the project (own or accepted for operation from external developers) as well as on selected platform. For instance, if we are talking about a third-party project, the company needs to buy the license and localize the game first. As for the platform, there are a number of hidden obstacles here. For example, while operating on iOS until recently you had to budget for extra two weeks in the distributive updates schedule. This was about the time for the new app version approval by the App Store. Whatever the situation, there are four key factors one should remember while operating any product on any platform. We are talking about monetization, attracting new players, retaining the existing players and regaining the players who left the game. All these four ‘pillars’ should coexist in harmony. Only when taken in combination these processes allow to effectively support the product, entertain the players and make money. It is not a secret that a game’s monetization directly depends on the amount of money a player leaves in the game. Normally, monetization type, a number of used sales funnels, etc. is introduced into the project at the stage of blueprint design. So, what’s the role of the operator in all of this? Let’s consider a situation where the game operator has a direct effect on monetization. over three thousand rubles – extra 30% bonus to the payment. Easy? Yes! All you need is to post an announcement on the project’s site and other communication channels, draw a banner, program mechanics, coordinate the event with the developer and do other minor things. Then, we ‘push the button’ and get a surge in revenue during the period of the campaign. But it’s not that simple. In order to avoid ‘killing’ your project, monetization promos must be launched in accordance with certain principles of monetization policy of game operation. The promos themselves require a big discussion. They can be simple and complex, involving money and noncash prizes, be website-based or game-integrated, etc. Operating a game does not only involve follow through and support but also launching the game. However, in both cases, the project always needs new players. So, you should be always engaged in attracting new players. The key events for attracting players start during the launch preparation. And after the launch, you need to continuously work on attracting new players to avoid the ‘burn out’ effect. This is done by directly buying traffic as well as PR activities followed by organic events, special projects, etc. According to Viacheslav, the price of one player for a client’s MMO game is around 100-300 ($1,6-$5) rubles right now, and for a browser-based game – 30-60 rubles ($0,5-$1). As for the world prices for mobile downloads, you can always look them up on Chartboost. If you start thinking solely about attracting and monetizing players, you may get caught up by this and fail to gain what the game operation was all about – the money. You should not only talk a player into downloading the game and feed him with all ‘tasty’ offers. You should be able to retain him. Of course, the retention is an element which had been taken care of by the game designer from A to Z. But often it turns out that not everything works smoothly in the field. A game operator is able to amend the situation without extra resources from the developer and improve the effect of the existing well-set game mechanics. Viacheslav gave us an example from the Perfect World. There is a dungeon in the game called Frost (on the screenshot below), really loved by the players. But with every new update of the game, the rewards that were given in the dungeon were losing their value with the introduction of new content. Finally, the depreciation of awards leads to the situation when the rewards for passing the dungeon could not cover the incurred costs. So, the players stopped going through the dungeon. In order to return the dungeon into the players’ daily routine, we launched a “Marathon in the Frost” campaign. We have set up a calendar within this campaign to award the players with one day for passing the dungeon. If a player scored 10 dates within 14 days he would receive a bonus not only covering the costs but giving some profit. And if you did 14 in 14 days, then you also get “a fat” prize. As a result, the players returned to the dungeon and started passing it with excitement, the retention improved and the operator received extra proceeds since the players began to actively buy the artifacts for passing the Frost. So, this was an example of a campaign developed by the operator without involving the developer, which allowed improving the player retention. Normally people forget about regaining ex-players, although it is an important element of the equation. They are saving your money: regaining or returning an ex-player costs a lot cheaper than buying new players.When talking about returning players Viacheslav gave us the following abstract situation: you game is operating for one year. The number of registrations is 3 million. But the MAU is much less. For instance, 100 thousand. Where are the rest of the players? They have left already. When talking about returning players Viacheslav gave us the example: you game is operating for one year. The number of registrations is 3 million. But the MAU is much less. For instance, 100 thousand. Where are the rest of the players? They have left already. Suppose, you are releasing a major update to the game. You need to prepare a newsletter with a prize to be distributed among the ex-players. You don’t need much text. It makes sense to create a short letter with some art object and a big “claim your prize” button, followed by a rundown of the main new features (a couple of words per feature). Send out a million letters. If it’s a successful mailing, you will get 5% CRT. Out of which 5% will stay in the game. This way you will get 2500 users back without much hassle. You can apply a more targeted approach. For instance, you noticed that a significant number of people left the game over a year (or even worse, stopped paying), who previously spent 5000 ($83) rubles each. You can make a rundown of these people emails and send out a letter (email, retargeting, intra-game notification, even SMS) with a unique proposal to enter the game during a set timeframe and make a certain payment while gaining x2 or x3 to this amount. As a result, you can increase the average monthly income by several percents. Because after investing a small amount and getting on the right track the paying players will likely continue to invest their money over the bonus limit. And, as you know, in some games a few percents of the monthly income can be a six-seven-and so on digit figure. Thus, by monitoring the harmony between these four pillars of operation you can significantly improve the revenues. This article is a compilation based on the open lecture of “University open to the city: lectures of a young scientist of HSE in ZIL Cultural Center”, read by Viacheslav Utochkin, the Director of Game Industry Staff Training program of The High School of Business Informatics of HSE.